The special features and data contained on this Wall Map of Canada by Kappa Map Group are as follows: all state and interstate highways, major waterways, military installations, state parks, towns, cities, Trans-Canada Highway, and time zones. 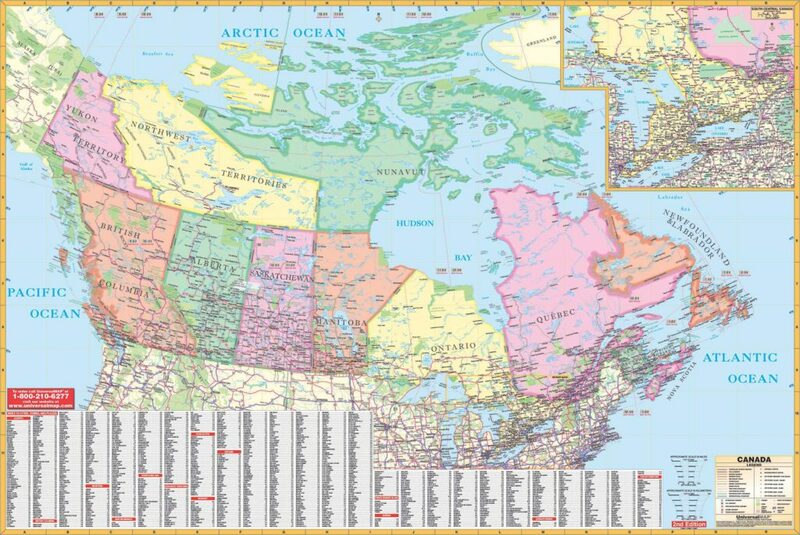 Special features on this map are color-coded provinces, also to include in the United States–New York City, Cleveland, Chicago, Minneapolis/St. 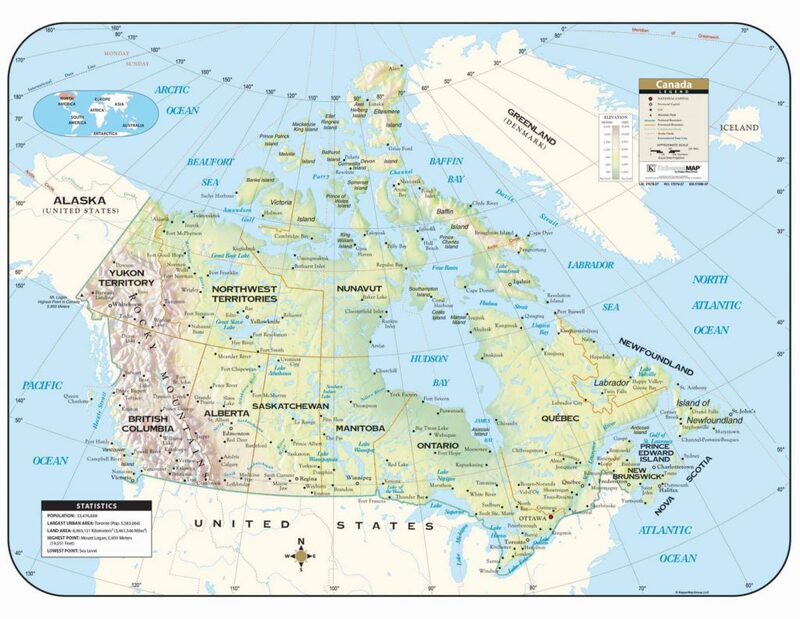 Paul, Bismark, Salem (OR), Helena (MT), and insets of South Central Canada. 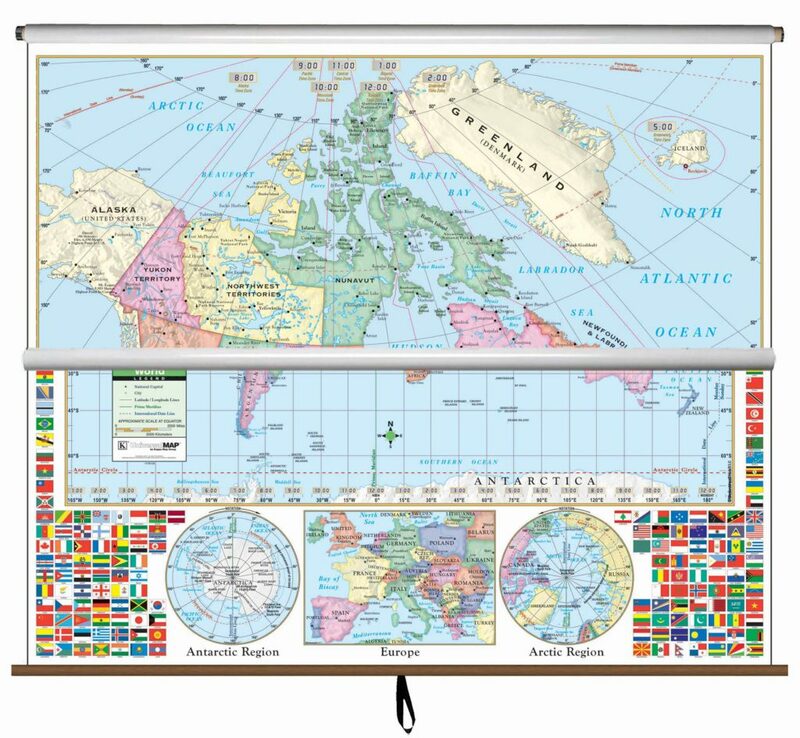 This wall map measures 77″ W x 54″ H and is lithographed in eight (8) colors. 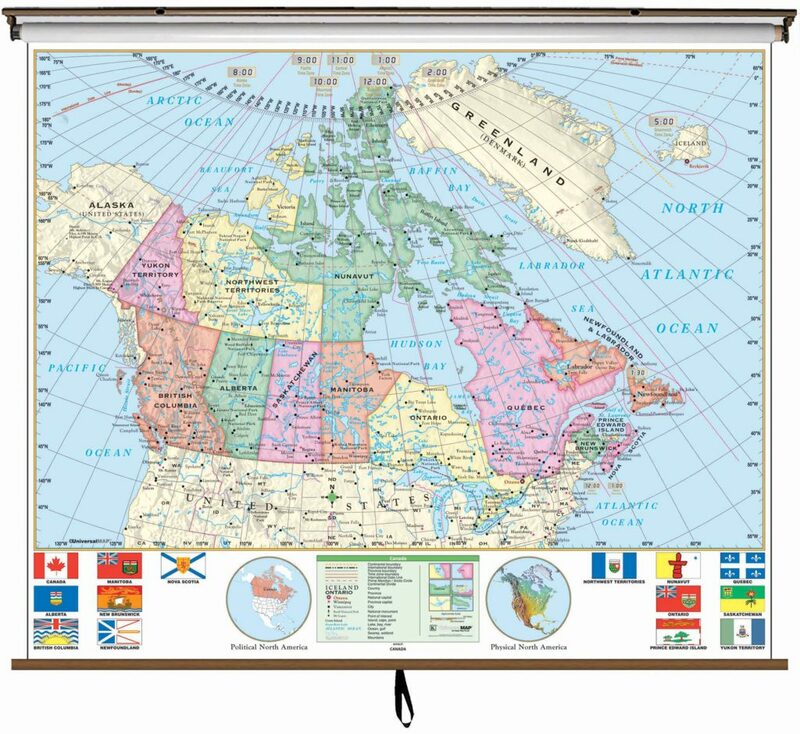 The map is protected by a laminate finish making it markable and washable. Also, the map is indexed on the face of the map.